The Commission provides support to Member States in order to help them make the best possible use of the Cohesion Policy funding, and to address problems with implementation. This support has been reinforced for the 2014-2020 funding period. The TAIEX-REGIO PEER 2 PEER expert exchange system is a tool to match needs with expertise in different countries. This demand-driven tool responds directly to specific requests by national or regional authorities managing the funds through expert missions, study visits and specific workshops. The Directorate General for Regional and Urban Policy of the European Commission is committed to look for and test new ways of safeguarding EU funds from the risks of mismanagement, fraud and corruption and increasing transparency in how the funds are used. As one of the initiatives in this field, we have launched a pilot project "Integrity Pacts - Civil Control Mechanism for Safeguarding EU Funds Against Fraud and Corruption".The project is implemented in co-operation with Transparency International and seeks to pilot Integrity Pacts in a number of projects co-financed by the EU Structural and Cohesion Funds in the Member States. For more information about Integrity Pacts and the pilot project please visit here. The task of the group of experts is to advise the Commision with regard to simplification and reduction of administrative burden for beneficiaries of the European Structural and Investment (ESI) Funds. The Commission will examine why regions with a low level of economic development or regions experiencing several years of negative GDP growth are lagging behind. 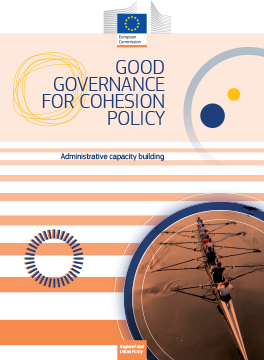 For Cohesion Policy, which aims at reducing disparities between the levels of development between the regions of Europe, this trend is of particular concern. financial management and control issues. The Commission's Action Plan on Public Procurement sets out a series of initiatives aimed at helping Member States to improve the performance of both administrations and beneficiaries in applying public procurement for EU investments during the 2014-2020 programming period. We are working together with Managing Authorities with the aim of shaping communities of practitioners working in Managing Authorities/Intermediate Bodies for exchange of practices and experiences. For this we have adopted more innovative ways of working, using a policy lab approach. The purpose of these studies is to take stock of how the new regulatory elements of the reformed policy have been integrated into the programming process. In addition, the last study provides information on the scope of project sizes in the 2007-2013 period. They provide evidence and an analytical basis for the debate on the design of the policy post 2020 and related impact assessments. Managing Authorities are invited to apply for a Commission pilot project “Frontloading administrative capacity building”. If selected, they can benefit from tailored EU advisory support in developing their administrative capacity to be ready for the post-2020 period. The advisory support will be provided in close cooperation with the OECD. Managing Authorities can apply until 9 April 2018. The results of the call will be published in late April. For further details see the call for expression of interest.